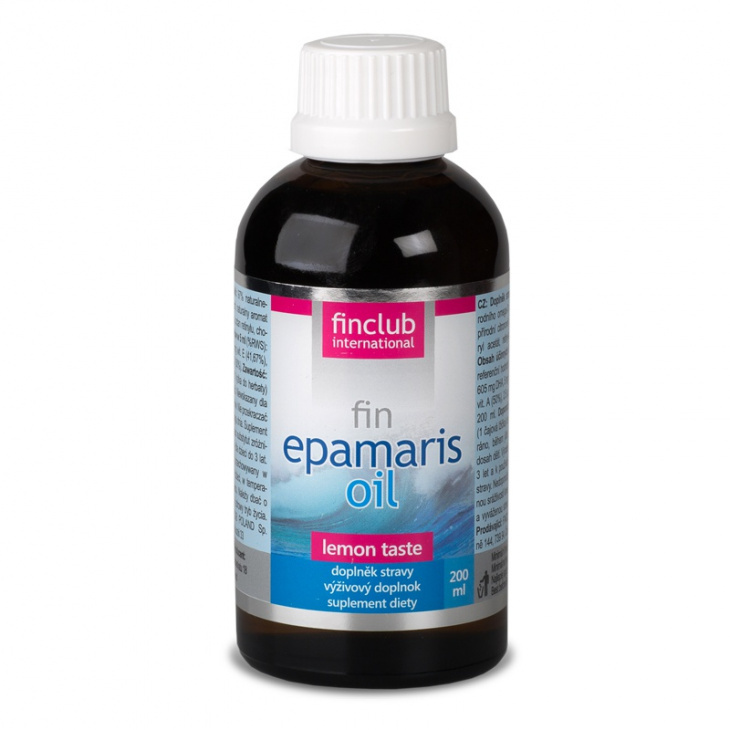 fin Epamaris oil | FINCLUB POLAND Sp. z o. o. You have reached the limit number of products, you have to take up some. To insert set into the cart select 0 pieces of products from the list below. Meets strict conditions of Good Manufacturing Practice (GMP) and Good Agricultural Practice(GAP ) and food standards applicable in the European Union. 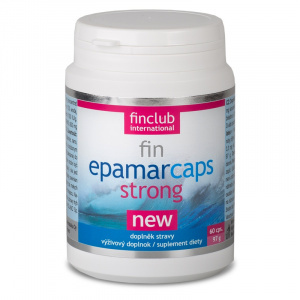 Dietary supplements contain fish oil, which is a rich source of unsaturated omega-3 fatty acids, especially EPA(eicosapentaenoic acid) and DHA (docosahexaenoic acid). Omega-3 acids are important for many functions of the human body. They are recommended for people who actively take care of their heart or consume fatty fish in a limited amount. The body can not produce omega-3 fatty acids by itself, they must be delivered with food, substituting in food saturated with unsaturated fat helps to maintain the normal cholesterol level. DHA acid helps to maintain proper brain functioning and proper vision. EPA and DHA acids contribute to the proper functioning of the heart (positive effect when consuming 250 mg of EPA and DHA per day). Vitamin E helps in protecting cells against oxidative stress. Vitamin A helps in maintaining the proper condition of mucous membranes, helps to keep skin healthy and maintain a proper vision. Vitamin D helps in maintaining healthy bones and teeth and in the proper functioning of muscles. The content of ingredients in 5 ml: 890 mg EPA, 605 mg DHA, 5 mg vitamin E (D-alpha tocopherol), 400 μg of vitamin A, 2.5 μg of vitamin D.
5 ml daily (1 teaspoon) in the morning with a meal, drink water. It is not recommended for people with reduced blood clotting.